Fine coffee, a huge gathering of mouth-watering machinery – all hosted at Australia’s spiritual home of motorsport, Mount Panorama. It doesn’t get any better than that. Oh, wait a minute, yes it does… Once the automotive diehards had finished admiring the static display there was the participant parade laps around the track on Saturday, plus that other blue-ribbon attraction – the 2019 Liqui-Moly Bathurst 12-Hour! Now in its third year, the status of the LONGROUP-run Meguiar’s Cars & Caffeine – Bathurst 12-Hour edition has grown considerably – attracting a number of hypercars, supercars, exotics and collectibles. Want proof, then how about the stunning, million-dollar Jaguar XJ220 and the brain-numbing McLaren Senna that greeted you upon entering the display area – wow! And to back that up, no matter which direction you looked, there was a plethora of interesting and attention-grabbing rides to ogle. Free for all Liqui-Moly Bathurst 12-Hour ticket-holders, Meguiar’s Cars & Caffeine is all about appreciating fine machinery and talking cars with other like-minded individuals who all share a common passionate for unique automobiles. During Saturday’s main show, fans were able to vote in the People’s Choice Award – with Neill Ford’s red Z06 Corvette and Gerrard Needham’s white 1967 Alfa Romeo GT Sprint Veloce awarded, “Best of the Pack”. 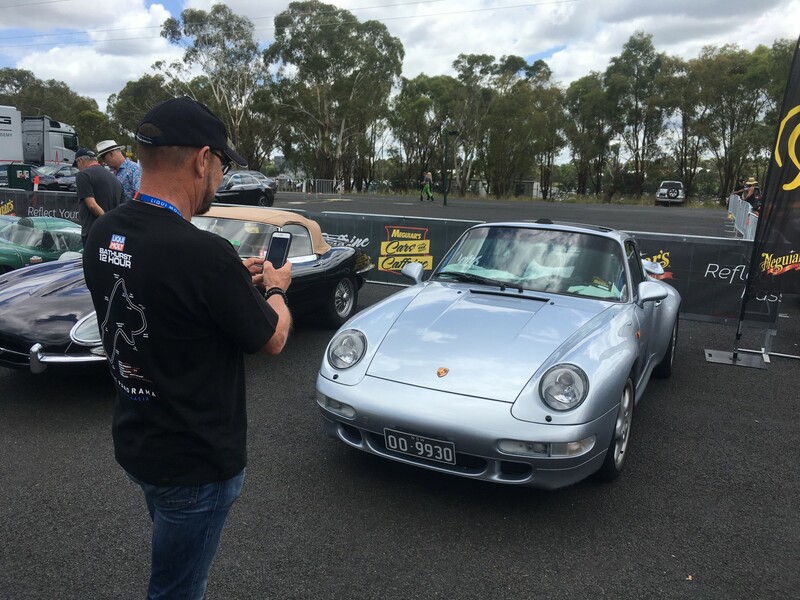 Aussie motorsport legend, John Bowe also presented his personal pick – which went to Aaron Lewis and his red Mark II Jaguar. Each of the three prizewinners received a Meguiar’s Car Wash Snow Cannon kit. With the success of the 2019 Meguiar’s Cars & Caffeine – Bathurst 12-Hour edition, it most definitely will again be a feature of the 2020 race weekend. See you on the Mountain next February.